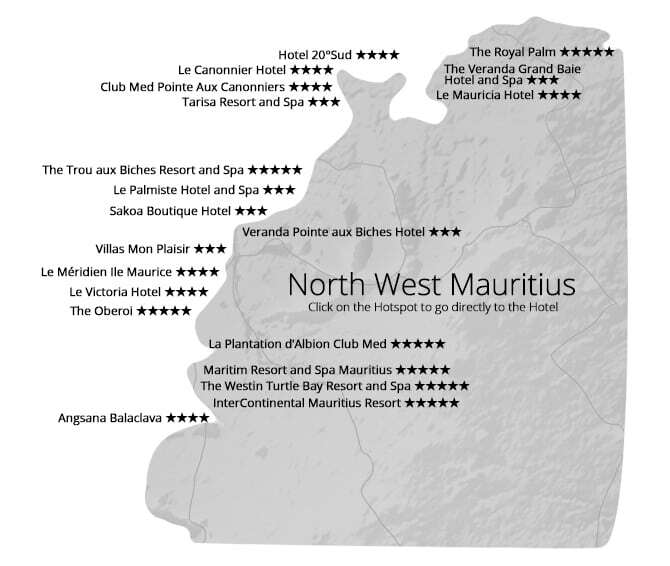 To view an interactive map of Mauritius Resorts and Hotels, check out Mauritius on the Map below. 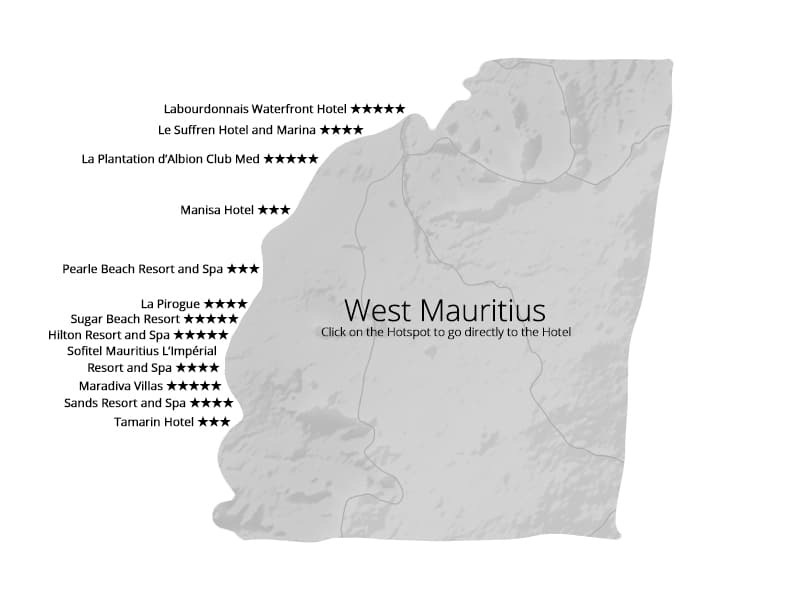 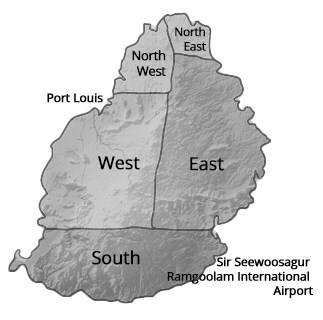 Choose a region and select and click on an individual hotspot to find out more about the specific Hotel or Resort. 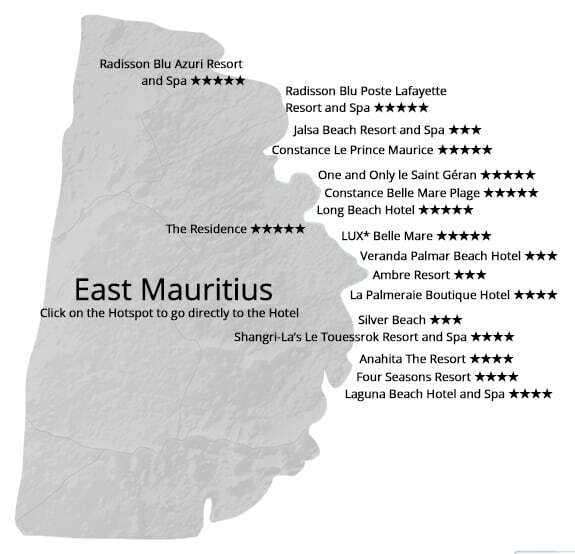 Mauritius, a volcanic island nation in the Indian Ocean, is known for its beaches, lagoons and reefs. 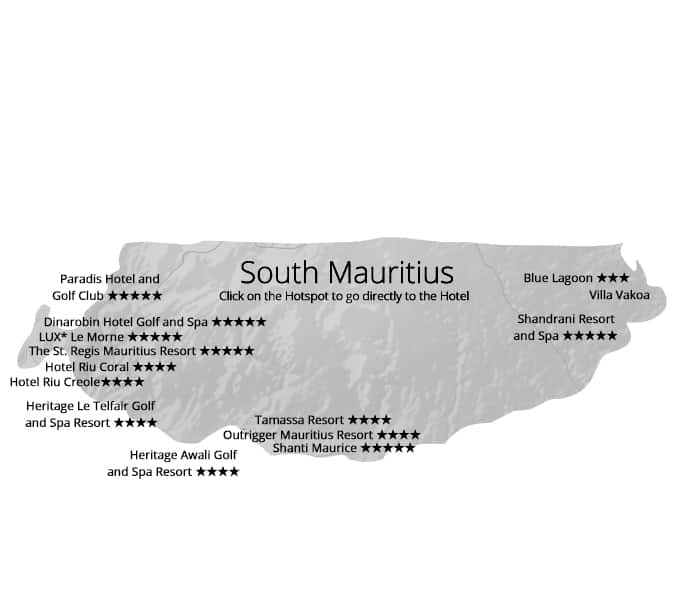 Located near the Tropic of Capricorn, Mauritius enjoys warm tropical climate, making it an ideal all-year round island destination. 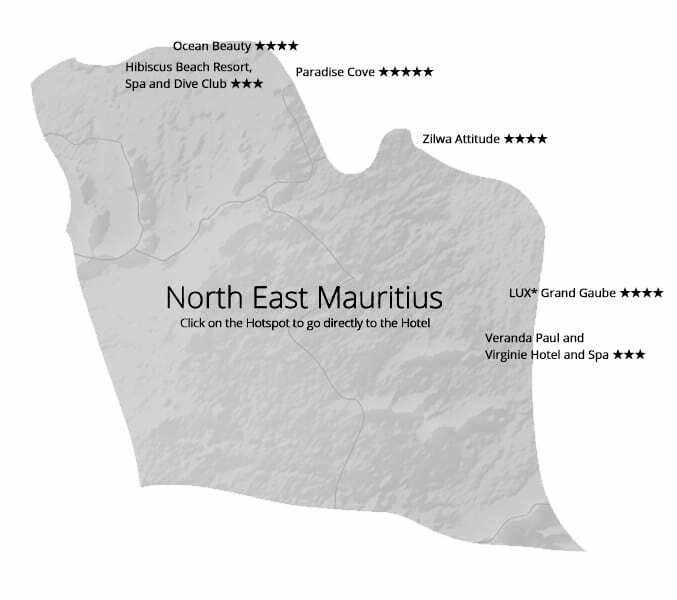 The mountainous interior encompasses Black River Gorges National Park, with rainforests, waterfalls, hiking trails and native fauna like the flying fox.